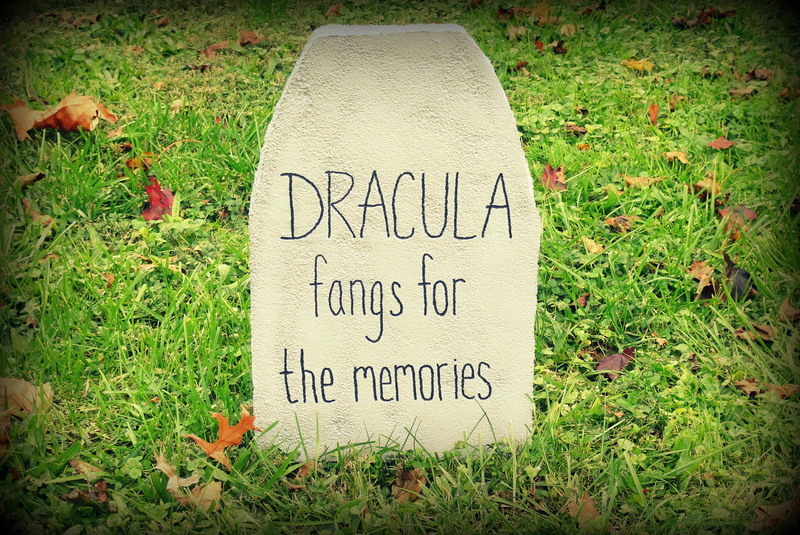 Halloween Tombstones to DIY for | So Pretty is as Pretty Does. Step 1: Saw the cooler at each corner. 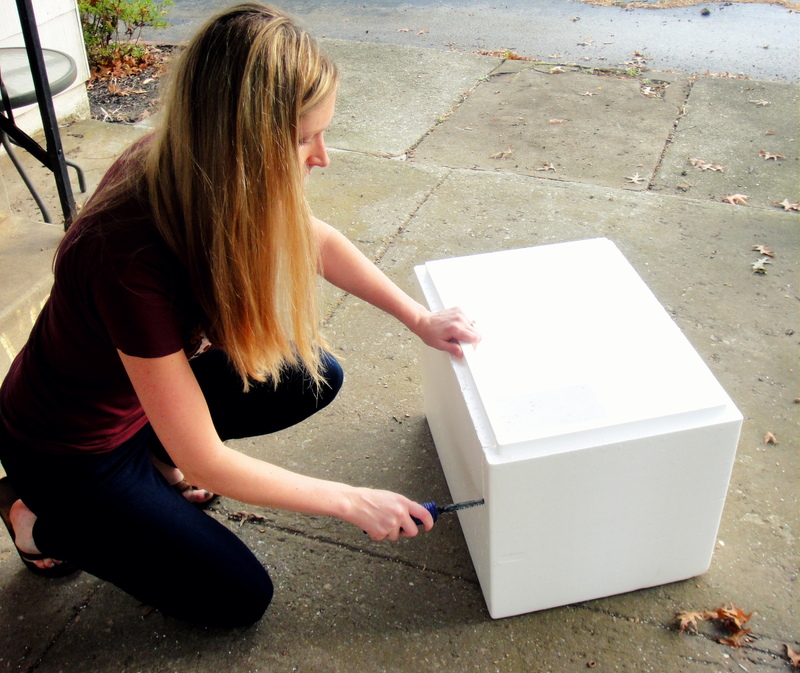 The cooler was sturdy, so I didn’t have to be too careful. 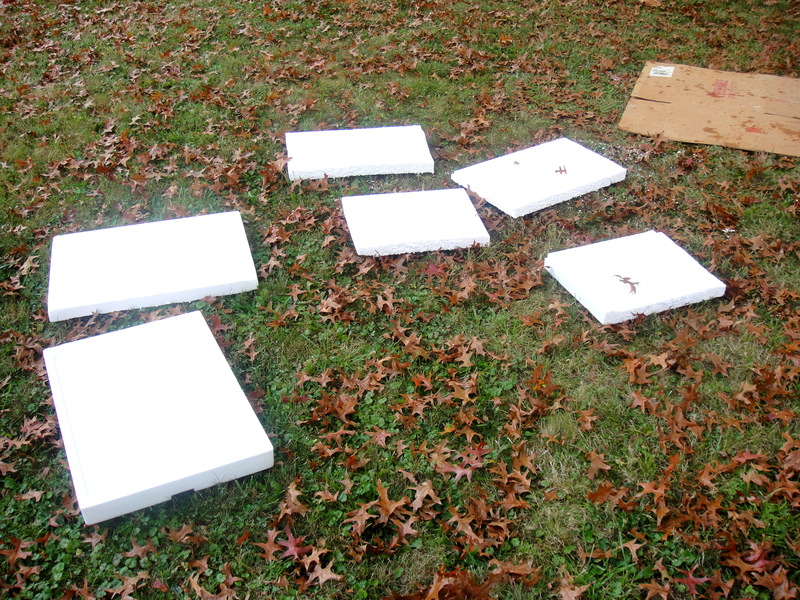 Once all of the sides are cut, you’ll end up with six potential tombstones. 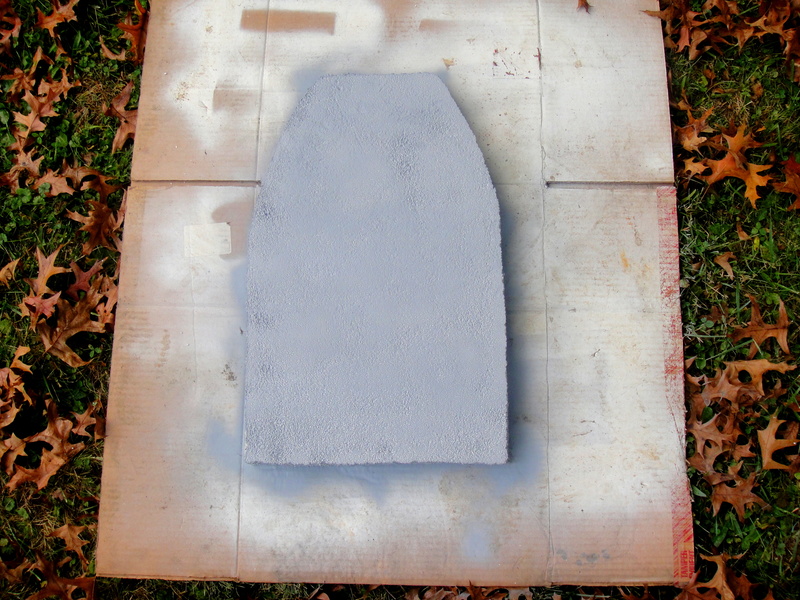 Step 2: Shape your tombstones. I used a sharpie and made general lines to follow with the saw. 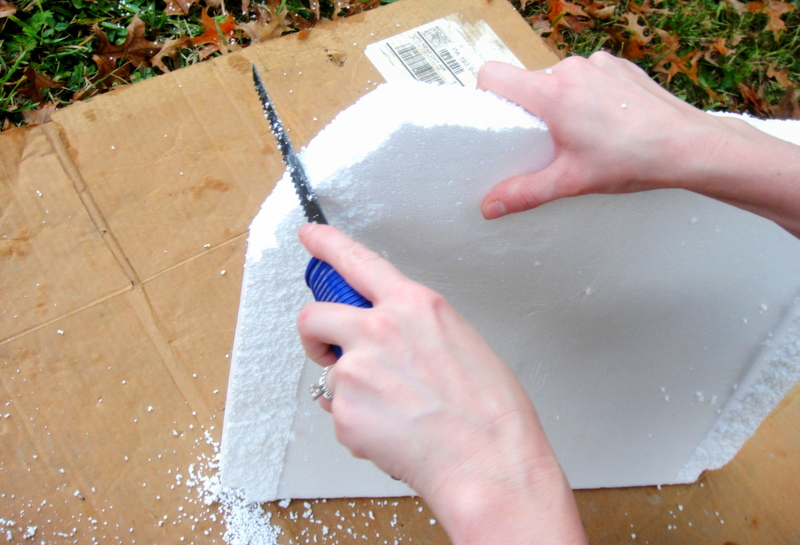 Styrofoam is a rather forgiving medium, so if you don’t follow your lines exactly, it’s alright – just lightly saw the corners to round them. 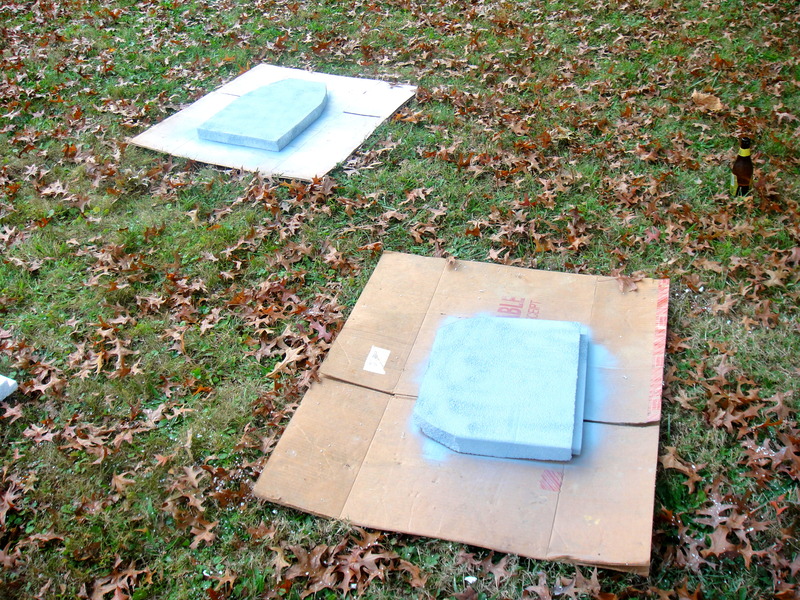 Step 3: Paint the tombstones. 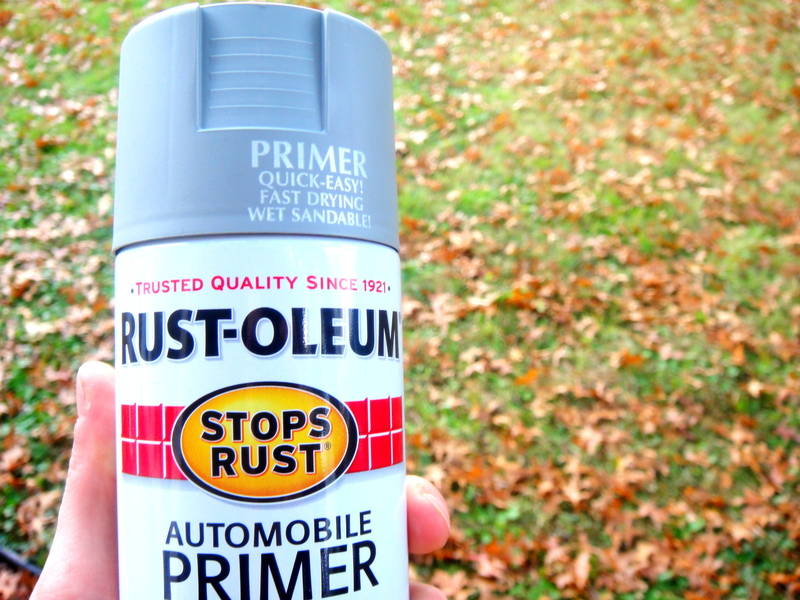 It only takes a thin coat of paint and it dries completely in about 5 minutes. The cool thing about spray paint on styrofoam is that it eats away at the top layer just a little bit which gives it a really neat weathered stone look. 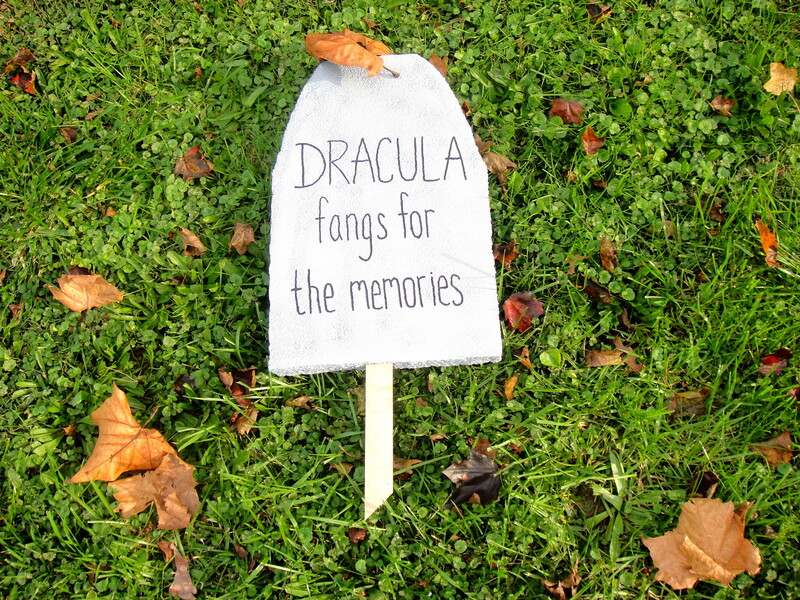 Step 4: Write out the epitaphs. 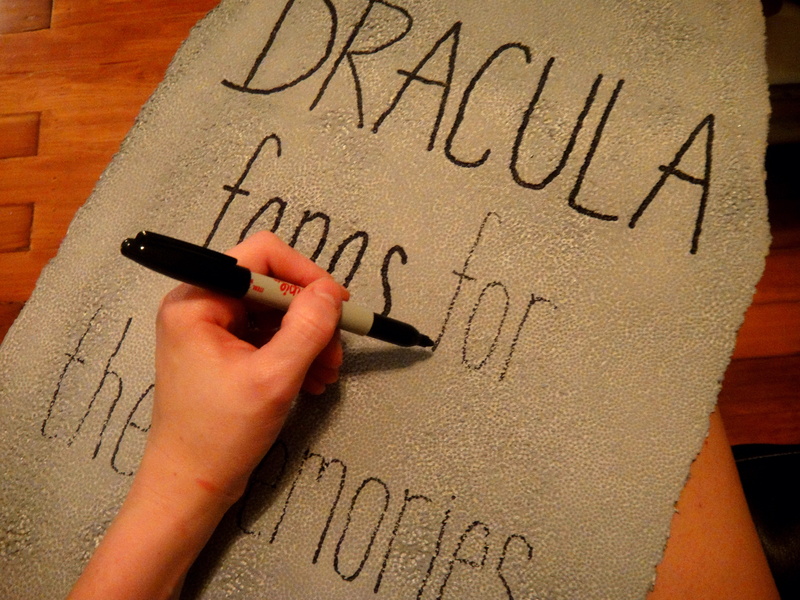 You can write your text on a big sheet of paper first to make sure that your lettering will fit evenly. 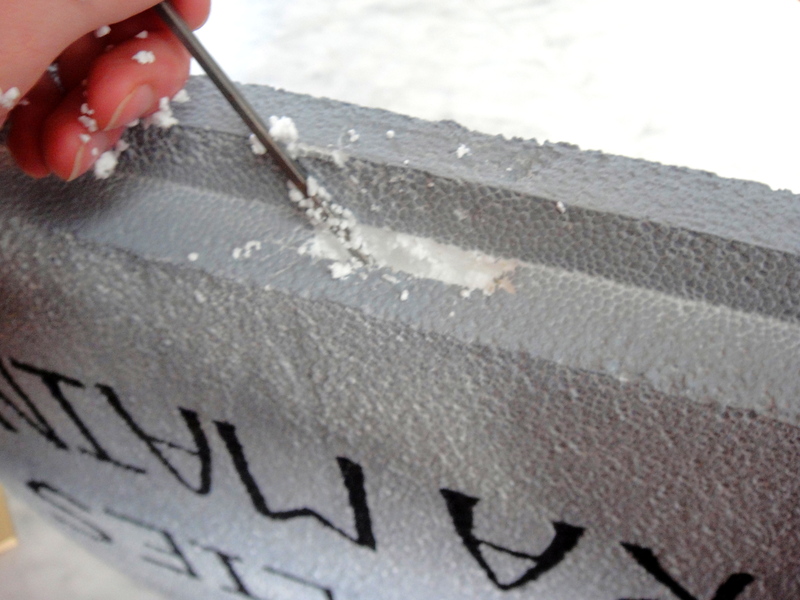 Then, just write the text lightly on the stone and go back and fill it in. 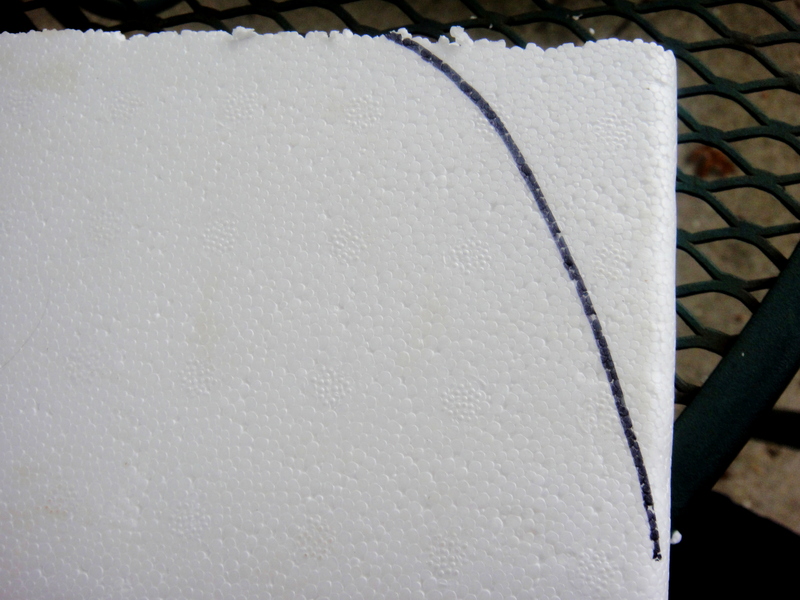 The sharpie also creates a divot in the styrofoam giving it even more texture. Step 5: Put them in the ground. I used a metal skewer to dig a space into the bottom of the headstone to insert the wood. My husband cut pieces of wood in 8″ sections with one end on an angle to make the stakes a little easier to get into the ground. 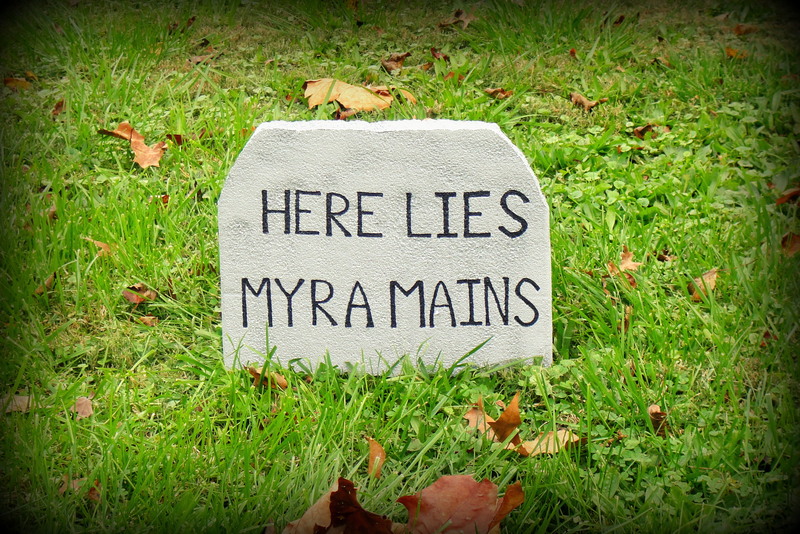 After digging out the hole, you can place your tombstones. 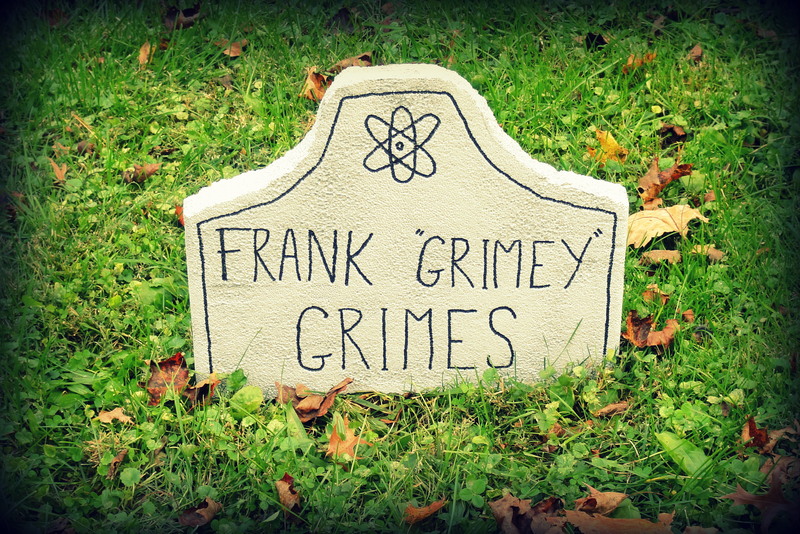 I still have a few tombstones left without epitaphs, so any suggestions would be appreciated!